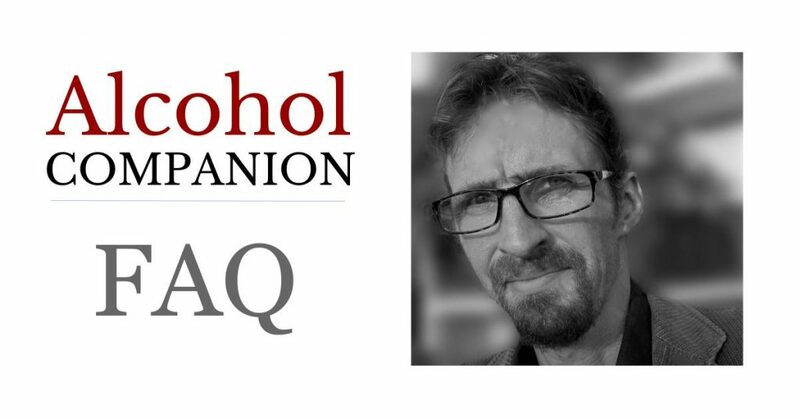 When and why did you decide to write a book about alcohol? It is hard to remember exactly, but it has seemed like the proverbial “elephant in the room” for a very long time. We discuss relatively small potential threats to our well-being with this far bigger one, often quite literally, under our noses. I don’t think I am alone in seeing the irony. But there is such a wall built up around the topic it is hard to address. And once you get into the detail it seems impossible to navigate. Every sentence seemed like a fresh chance to veer off on a new diversion. Providing a balanced view, which was always going to be my aim, seemed impossible. So, reluctantly, I shelved the idea. So, after all that, what happened to change your mind? Well, to put it simply, it appeared to be the best item on my list of things to do. A long-term project was coming to an end, giving me a chance to try something different. Finally facing up to the challenge and having a go at alcohol seemed like a reasonable option. So, one morning, with some trepidation, I found myself walking to the university library to see what I could find. I continued doing this for a year or so, until I finally amassed enough for a book. What was different this time? What was the “way in”? I think the key was committing. It makes you look at it more practically, focusing on what is achievable and useful. It was quite clear I could not explore every avenue. The other important part of the process was, probably, not trying to “solve” it like there was a case to be cracked. Instead, I spent my time accumulating and organising research, and looking for ways to tie it together. If it resulted in a wonderfully straightforward explanation, great. If not, so be it. It was a book not a newspaper article. So if you are not looking to solve a problem then what are you doing? Well, if I think I have found a neat way to look at something I have included it. But I have not put forward a single soundbite to encompass the whole topic. The alcohol experience is simply too diverse to find a way to sum it up for everybody. It is more like a crossword than a riddle, with the end result being made up of lots of interlocking answers relevant to different situations. More important than this, though, is that I hope to provide a core of general ideas and information readers can use to inform their own thoughts. This is why it is called a “companion”. So what did you use to keep you from getting sidetracked? I took a pragmatic approach, as I said. In practice this meant concentrating on the essentials, constantly trying to get back to the core of the alcohol experience. This core is, as with all of life’s experiences, our brain. Nothing happens without it: the bottle stays in the shop, the cork stays in the bottle, the glass remains empty, nothing is drunk, no-one gets inebriated, there is no hangover and there are no consequences to deal with. The brain is the protagonist in the story, not the lifeless alcohol molecule. This approach has its own difficulties, of course, because alcohol’s effects on our brains are far more complex than on our livers or wallets. What ties the book together? 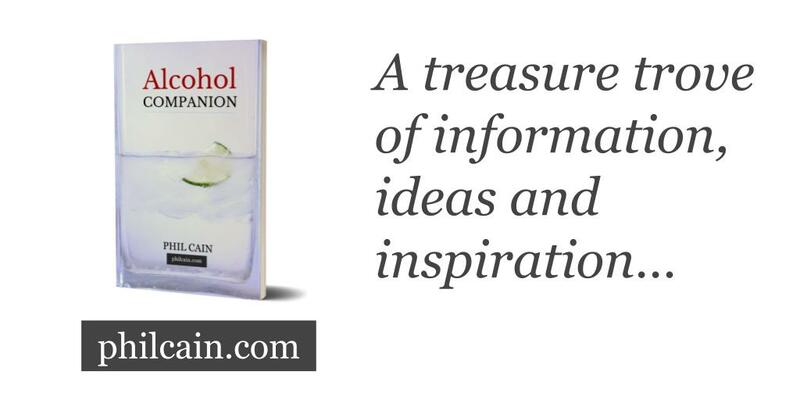 It follows an imaginary timeline of a life: it starts with how we form beliefs about alcohol when we are very young; then our first exposure; the way inebriation together with our expectations changes our behaviour; and the mysterious source of the dreaded hangover. It then moves on to the effects of long-term drinking on our mood and cognition. It then tries to understand dependence, a term which covers myriad different combinations of symptoms. We do not need to crave alcohol to be dependent, even severely, for example. The varieties of dependence are only rivaled, perhaps, by the ways we find to be rid of it, most of them without professional help. Don’t we already get the advice we need? The very clear, simple advice we now receive about maximum alcohol intake is great, but it is hard to follow advice without knowing why? So, it might help to know in some detail about subtle cognitive problems we can get even below guideline limits. It should also help us to know, for example, that cutting down or quitting alcohol is quite common and delivers positive results. We tend to hear most often of cases where a transition to a lower level of drinking is traumatic in some way. It certainly can be. We should find it easier if we have a clear idea about the sources of discomfort, a firm belief in our ability to endure them and enjoy proven payoffs. This does not fit on the side of a beer can. So you ignored cultural aspects? For the most part, yes, other than those which increase or reduce our alcohol consumption. Some cultures shun inebriation while others celebrate it, for example, social rewards reflected in local drinking habits. And our alcohol consumption is influenced by advertisers who attempt to strengthen links between alcohol and happiness and freedom. Far stronger links exist, in reality, with anxiety, depression and dependence. One source of the confusion is that happiness comes from feelings of social connection. We are convinced by product placement, often doing the placing ourselves. Is there anything wrong with this situation? It seems unfortunate to me that we often do not know where our feelings of happiness are coming from, which probably means we miss out. And wrongly believing that alcohol is required to feel happy can backfire if we ever want to stop. Just as gaining social connections makes us feel happy, losing them makes us feel something akin to physical pain. This is probably a throwback to the days when being snubbed by our tribe might be a threat to our survival. It seems silly, but we cannot shake it off. Anyone who has, say, lost their address book, been put in a different class from their friends or tried quitting Facebook knows the feeling. Alcohol could could, perhaps, be seen as a kind of faulty legacy Facebook. How can such a normal and much-loved pleasure be wrong? I would never say it is wrong to drink. What I try to do is describe what alcohol exposure does to us, compare this to our common expectations and see how they correspond. OK, let me rephrase that then. How can something as natural as alcohol be harmful? Animals from fruit flies, right up the evolutionary chain, to rats, mice, elephants, monkeys apes and animals like us seem to respond favourably to alcohol. It might have something to do with an instinct for finding sugary, calorie-laden food, which tends to come with an alcoholic aroma. But this hardwired appreciation and tolerance for alcohol does not mean it is an essential part of life. We have simply made it into more than the strange evolutionary accident it is. Should we also find a use for the appendix? So, you don’t have anything positive to say about alcohol as a product?